Our condolences to the family of Laureate Richard Gray. Mr. Gray and Mary Lackritz Gray were named Laureates as a couple in 2011 at a Convocation ceremony held on the University of Illinois Urbana-Champaign campus at the Krannert Center for the Performing Arts. Richard Gray was a lifelong Chicagoan with an international reputation in the arts. The Richard Gray Gallery, founded in Chicago in 1963, is one of the leading dealers in modern and contemporary American and European art. The gallery was one of the first spaces in the city to show work by some of the day’s most prominent artists, among them Jules Olitski, Morris Louis, Hans Hofmann, Louise Nevelson, and Jim Dine, as well as works by modernists like Fernand Léger, Pablo Picasso, Josef Albers, Milton Avery, and many others. Other artists to show at the gallery would include Andy Warhol, Philip Guston, Roy Lichtenstein, Agnes Martin, Mark Rothko, and Richard Diebenkorn. Richard was a Life Trustee of the Art Institute of Chicago, the Chicago Symphony Orchestra, the Goodman Theater, and the Founding Vice-Chairman of the Chicago Humanities Festival. 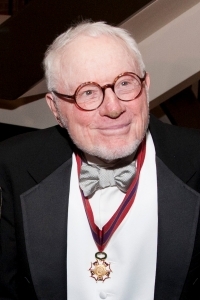 He was former president of the Art Dealers Association of America and the Chicago Art Dealers Association and was vice chairman of the Friends of the Farnsworth House, where he helped oversee the preservation of its Mies van der Rohe–designed building. In 2008, the Art Institute named a wing after Gray and his wife, Mary; the museum’s holdings include prints and drawings by Peter Paul Rubens, Eugène Delacroix, Henri Matisse, and others that previously belonged to the couple. Three years later, the couple gave $5 million to the University of Chicago, which went on to form the Richard and Mary L. Gray Center for Arts and Inquiry, a forum that continues to promote art-historical research.